Liberman’s appointment as Defense Minister ignited expectations of a qualitatively different approach to that of his predecessor—one discernibly more robust and resolute. Sadly, this was not to be. Shortly after Avigdor Liberman was appointed Defense Minister, two Palestinian-Arab terrorists cut down almost a dozen customers at a well-known coffee shop located a few hundred yards from the Ministry of Defense and IDF HQ in Tel Aviv, killing four and wounding the rest. In many ways, this incident was a predictive symbol of things to come. For it foretold that much of the hopes pinned on Liberman were to be unfounded, showing that his hawkish, machoistic rhetoric had done little to deter the determination of Palestinian-Arabs to kill Jews. Readers will recall that, after refusing to join Netanyahu’s coalition for a year—thus strengthening, at least passively, the Left-wing opposition—Liberman managed to extort his way into the plum position of Defense Minister—despite his party’s dismal performance in the 2015 election, in which it lost almost half its Knesset seats, underscoring the perversity of the Israeli political process. His appointment as Defense Minister, in place of the then-incumbent Lt-Gen (res) Moshe “Bogey” Yaalon, who many saw as being overly reticent in dealing with Palestinian terror, ignited expectations of a qualitatively different approach to that of his predecessor—one discernibly more robust and resolute; more assertive and aggressive. 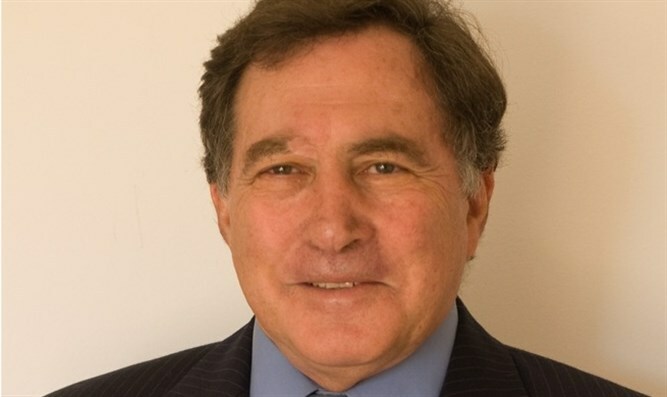 True, there have been some impressive operations against Iranian targets in the North, and the defense establishment, which Liberman heads, deserves considerable credit for the operational and intelligence capability they have demonstrated. But limited attacks on specific targets, however impressive, are not indications of an overall strategic blueprint—not regarding the northern front (including the formidable capabilities of Hezbollah) and certainly not in the South, which has—both literally and figuratively—been set ablaze by the terror regime that rules the hapless coastal enclave. It was Ariel Sharon, the perpetrator of the disastrously failed unilateral evacuation of Gaza in 2005, who coined the unfortunate phrase “Restraint is strength”, to justify his inaction against Palestinian-Arab terror—until the gory 2002 massacre at the Park Hotel in the seaside resort of Netanya, forced his hand to undertake Operation Defensive Shield. Of course, there may be some merit in this approach of restraint if one’s adversary perceives it as a benign gesture of magnanimity from a considerably more powerful antagonist, which elicits a conciliatory counter-gesture on the way to an amicable resolution of the conflict between them. If however, it is perceived instead as a sign of weakness, providing only an opportunity for further violence, it has no such merit. To the contrary, it is even detrimental and counterproductive. The latter is indisputably the case with regard to the Palestinian-Arabs, in general, and to Hamas in Gaza, in particular. In such circumstances, restraint is a policy not only devoid of any practical merit; it is also devoid of any moral merit. For it does nothing but put Israeli civilians at risk. On Thursday morning, Israel awoke to the news that “restraint” had almost killed a group of children, when an incoming rocket from Gaza narrowly missed the park in which they were playing. This follows another incident, several weeks ago, when a rocket landed in a kindergarten, fortunately still empty as it hit just before it opened for the day. Just how unwise a policy of “restraint” has proved to be is clearly underscored by events on the ground. While Israel has practiced “restraint”, the Islamists of Gaza have frenetically upgraded their offensive capacities beyond anyone’s worst fears, when in 2005, Israel abandoned Gaza. While Israel showed “restraint”, Hamas enhanced the range of their missile arsenal from a maximum of 5 km to 100 km; and their explosive charge from 500 grams to 100 kg. While Israel demonstrated “restraint”, Hamas excavated a maze of terror tunnels, developed naval forces, devised incendiary kites that have devastated thousands of acres of farmland, forests and nature reserves, and is now acquiring drone capabilities that are likely to neutralize, at least partially, the multi-billion shekel, anti-tunnel barrier along the Gaza border. 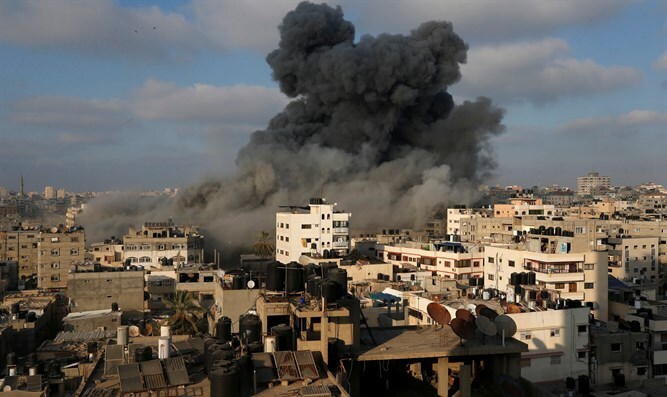 It has been suggested that Israel has shown restraint in the South because it considers the northern front a potentially great threat, which needs to be focused on prior to large scale action in Gaza. This argument is both troubling and unsound—almost self-contradictory. After all, if the major concern is the North, surely operational logic would dictate that the IDF neutralize the threat in the South as quickly as possible, rather than allow it to drag on for months, so that if the northern front erupts, it would not have to fight on two fronts at once. After all, the policy of restraint virtually ensures that Hamas will retain its military prowess practically intact and could put them to use at any time of its own choosing. And what could be a more opportune time to do so than if/when fighting in the North flares up. Thus, if anything, the specter of a two-front confrontation militates towards abandoning restraint in favor of more robust and resolute action that could obviate the prospective problem before it emerges. The problem of Israel’s strategy towards Gaza (or lack thereof) is conceptual, not operational. After all, it is difficult to believe that, in the absence of political/diplomatic constraints, the IDF could not overrun Gaza within days. Indeed, if it cannot, that would be deeply disturbing. After all, it is difficult to believe that, in the absence of political/diplomatic constraints, the IDF could not overrun Gaza within days. Indeed, if it cannot, that would be deeply disturbing. Thus, the fact that such a course is not adopted is not due to operational limitations. Rather it is due to Israel still being captive to the idea—or rather illusion—that at some stage, the Palestinian-Arabs will, contrary to all existing evidence, emerge as a prospective peace partner. Accordingly, any measures likely wreak excessive devastation on them are avoided—so as not jeopardize the chances of future reconciliation. This claim could, of course, be refuted by historical precedents, where reconciliation was only achieved after one side had inflicted unacceptable damage on the other, coercing it to admit defeat and surrender. However, even if some of these examples are not relevant for the Israel-Palestinian conflict, one thing is clear: The policy of restraint has failed unequivocally to induce anything vaguely resembling a desired response from Hamas. Indeed, all it has done is to provide the terror organization an opportunity to become an increasingly formidable threat to Israel and its citizens. Clearly then, the time has come to abandon “restraint” as the dominant element in Israeli policy toward Gaza and Israel must base its policy on what the Palestinian-Arabs really are—and declare themselves to be—not on what it would like them to be. Accordingly, Israel must relate to the Palestinian-Arabs, not as a prospective peace partner, but as an implacable enemy, bent on its destruction, for whom “restraint” is merely a respite, in which to hone its hostility. The inevitable conclusion of all this is that far more drastic military measures are called for to resolve the Gaza issue. It is, of course, easy to advocate such coercive action from the air-conditioned comfort of my home. This, however, does not make the need for it any less compelling—especially for the folk in the distinctly less amenable conditions in the farms, villages and towns adjacent to Gaza. The prospect of the use of large-scale military action inevitably raises the question of collateral civilian casualties. In this regard, the larger civilian population is invariably portrayed as the hapless victim of its tyrannical terrorist leadership. This is a grave misrepresentation of reality, for as I have pointed our repeatedly in the past (see for example here and here) the wider Gaza population is the crucible in which that leadership was formed and from which it emerged, not its victim. This is not to say that efforts should not be made to reduce unintended harm to non-belligerents. They certainly should! However, unless the Government of Israel places a higher value on Palestinian casualties than on Israeli ones, collateral damage among the enemy population cannot be an overriding operational constraint on military action intended to bring lasting security to the residents of the South. Sadly, the tone of the current discourse seems to tend toward conferring some kind of benefits on Gaza in return of a cessation of hostilities. In a world of reason and decency this should be unthinkable! Indeed, to reward, rather than punish Hamas for its aggression would be both counter-productive and immoral. Moreover, this has been the pattern in previous campaigns—and has produced only continued and escalating hostility. To repeat such folly would be almost criminally obtuse. The penury and privation in Gaza is the product of choices made by Gazans, not a fate imposed on it by Israel. Sadly, most of the discourse on Gaza is hopelessly ensnared on what Benjamin Netanyahu once referred to as a “reversal of causality”. For, contrary to widely held perceptions, the dire socio-economic conditions in the terror-ruled enclave are not the cause of the anti-Israel antipathy that festers there; it is festering anti-Israel antipathy that is the cause of these dire socio-economic conditions. The penury and privation in Gaza is the product of choices made by Gazans, not a fate imposed on it by Israel. They are inherent to the Judeophobic political aspirations of the Palestinian-Arabs and Israel should not be called on to reconcile itself to them and certainly not to reward them. One might be excused for expecting that as Defense Minister, Liberman would be leading the way in expounding such a viewpoint. The recent resurgence of violence from Gaza, coupled with the accumulated experience of the last quarter-century—and the growing presence of Jihadi elements in adjoining Sinai—leads to the inevitable conclusion, however unpalatable: Israel can only determine who controls Gaza—and what emanates from Gaza—if it controls Gaza itself. The only way it can do this while avoiding the need for indefinitely ruling over “another people” is to relocate the “other people”—with generous funding—to promote the emigration of non-belligerent Gazans to third party countries—which certainly seems a more humane outcome than allowing them to languish in their current condition. This is clearly a sharp departure from conventional wisdom and a massive public diplomacy offensive—as I have long advocated—to facilitate its implementation will be required—conveying why incentivized emigration imperative; what staggering sacrifices Israel has made—to no avail—in trying alternative avenues; and explaining why refraining from such relocation and rehabilitation will only precipitate further tragedy and trauma for Jew and Arab alike. There will either be Arabs in Gaza or Jews in the Negev. There will not be both! Of course, along with the positive inducements to leave, Israel will have to institute negative disincentives for staying, by announcing that it will gradually deny the supply of all services to non-Israeli populations. After all, if continued supply of utilities is used to endanger Israeli civilians, it is clearly immoral to persist with such supply. The bitter truth is that unless there is a dramatic change in the approach to Gaza, the current pattern of recurring violence will continue to escalate—and the Jewish residents of the south are unlikely to endure these realities indefinitely. Accordingly, the bleak choice facing the Israeli leadership is this. There will either be Arabs in Gaza or Jews in the Negev. There will not be both! If Defense Minister Liberman does not grasp this and act accordingly, he is unlikely to improve his current grade of “F”.